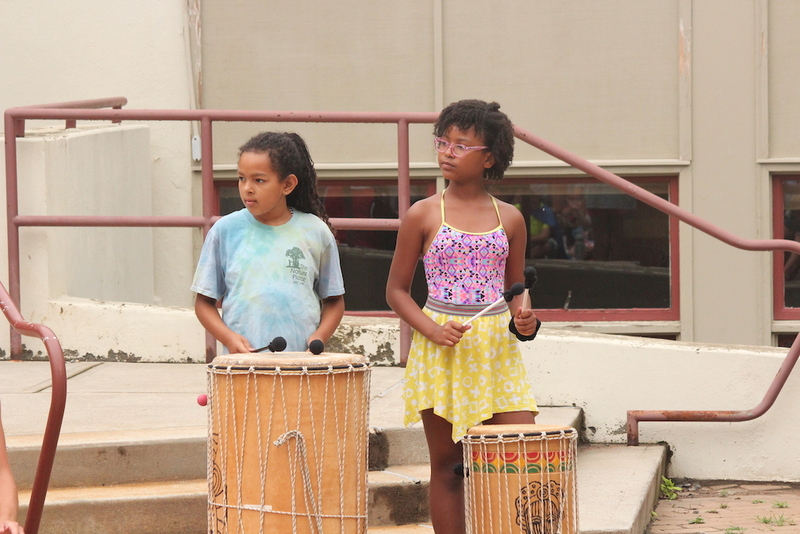 Join Nature Place crowd-favorite Mashobane Moruthane for an energizing, upbeat, and rhythmatic week of percussion, dance, storytelling, games, swimming, and more! 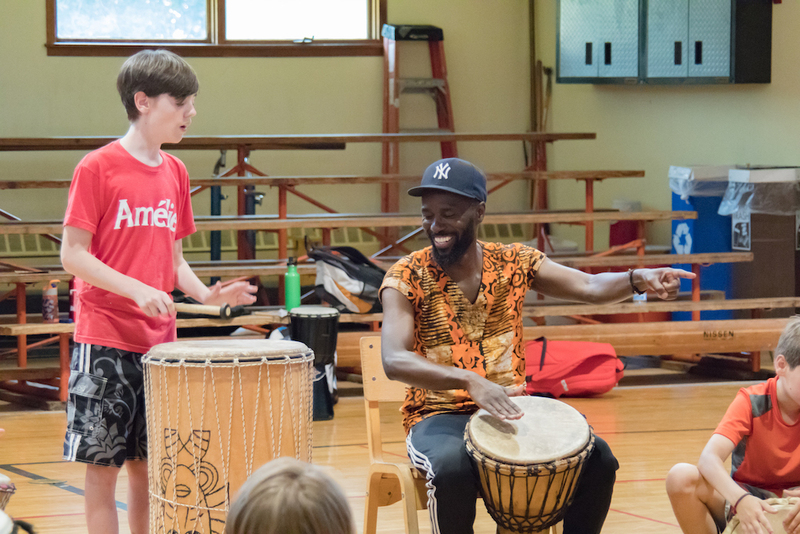 Designed for campers ages 8-14, this program focuses on traditional African drumming and movement, culminating in an end-of-week performance. 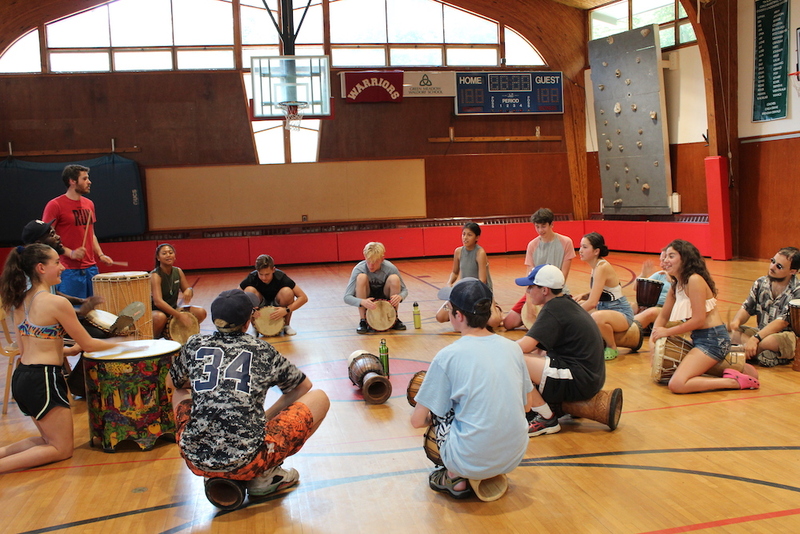 Each camp day, campers are engaged and immersed in the experience of creating music and movement. 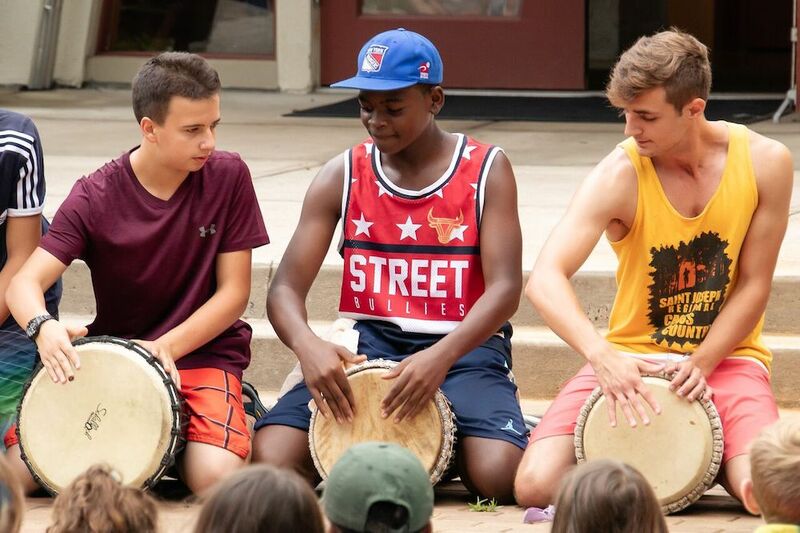 Daily drumming and dancing workshops are designed for campers to learn and practice, building on their skills as the week unfolds. Games, traditional African storytelling, and, of course, lunch and swim, are also woven into the daily schedule, creating a balanced tempo. 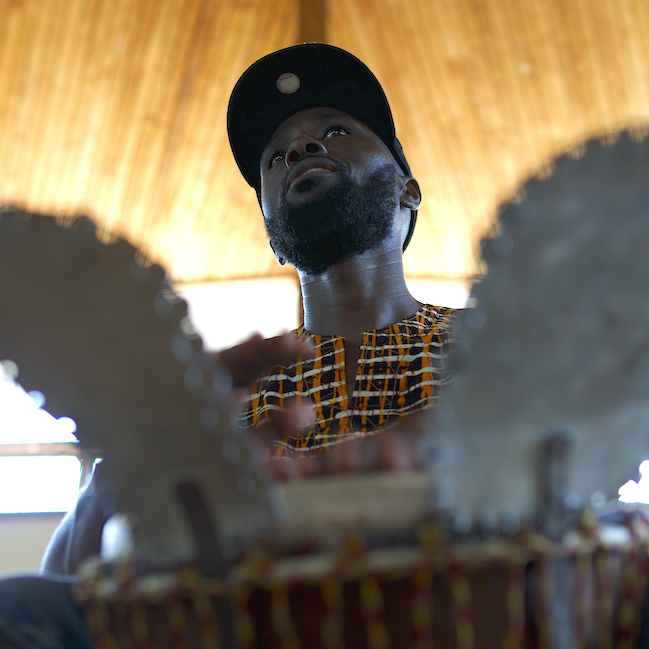 Extremely talented and equally playful, Mashobane creates an environment where each camper feels confident in exiting their comfort zone and entering a world of expanded expression and rhythm. No experience needed, only excitement about the subjects! 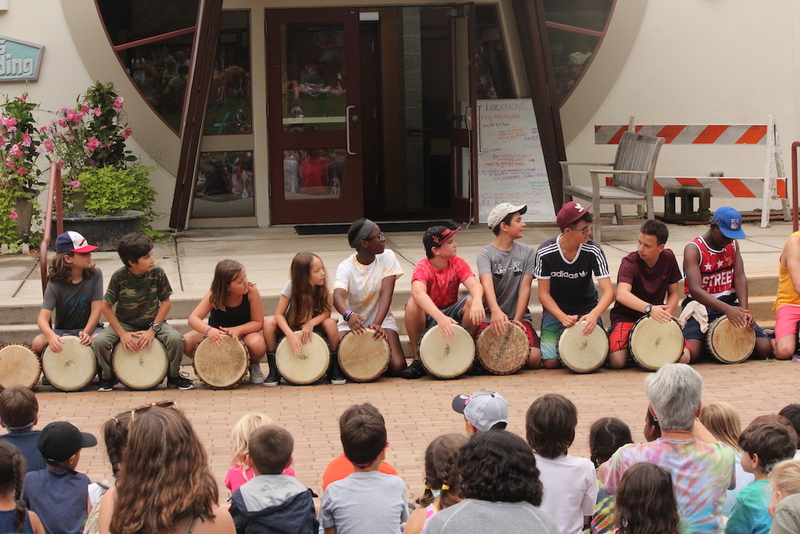 At the end of the week, ‘Music and Movement’ campers and campers in our concurrent ‘Farm & Garden Days’ and ‘Art & Earth’ programs will come together for a party in the garden featuring pizza, an art exhibit, and a performance by the ‘Music & Movement’ campers. 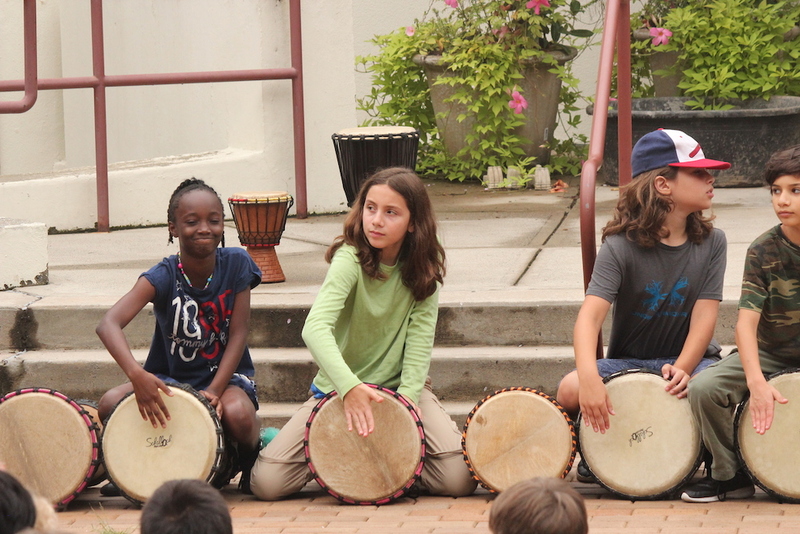 This experience is just as fun for the performers as it is for the audience! Friends and Family are in for a treat. It’s all about acoustics and room to move our bodies freely, and the beautiful indoor and outdoor spaces of our campus are perfect for both of these pursuits. Fill out an online application. Feel free to contact us with any questions. 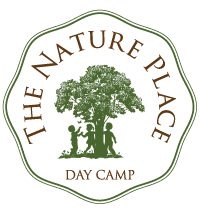 Mashobane has been part of our Nature Place family since the early days and more recently made a much-celebrated return to camp after being away for a number of years! 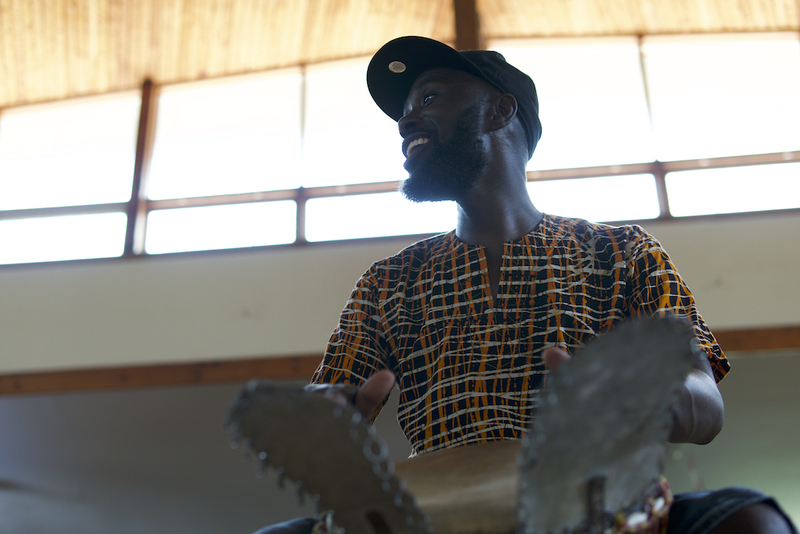 When not with us, Mashobane lives in Chapel Hill, North Carolina, where he is a movement teacher for grades 1-12 at the Emerson Waldorf School. He can’t wait to bring this new offering to The Nature Place.